Andy Glass began his career as a purist landscape photographer and is now a leading talent in blending pure photography, digital enhancement and computer generated elements. His work appears regularly in the photographic press and in reviews of any year’s best photography, and he recently worked with Curious Productions on the Lexus ‘Shift’ campaign. We had 5 Curious Minutes with Andy Glass. My German grandfather was a very keen photographer – he used to show me his albums that were taken during WW2 which I found fascinating. I remember an image he shot on the beach in Dunkirk of a British airman who had been shot down, he was wearing a full black tie underneath his flight jacket – possibly scrambled directly from a dance, kissed his sweetheart goodbye and jumped into his Spitfire. The app Helios – really handy for sun positions, shadow length etc. There have definitely been a few moments, a couple of them on a nudist beach in San Francisco, but it would probably have to be a Peugeot shoot in the South of France – car was on the road with a hairpin bend behind it – as soon as we set up somewhat older Peugeot broke down on the corner and couldn’t be moved. It was also the day after England had just controversially beaten France in the 6 Nations rugby, so nobody stopped at traffic control –a classic and chaotic day. 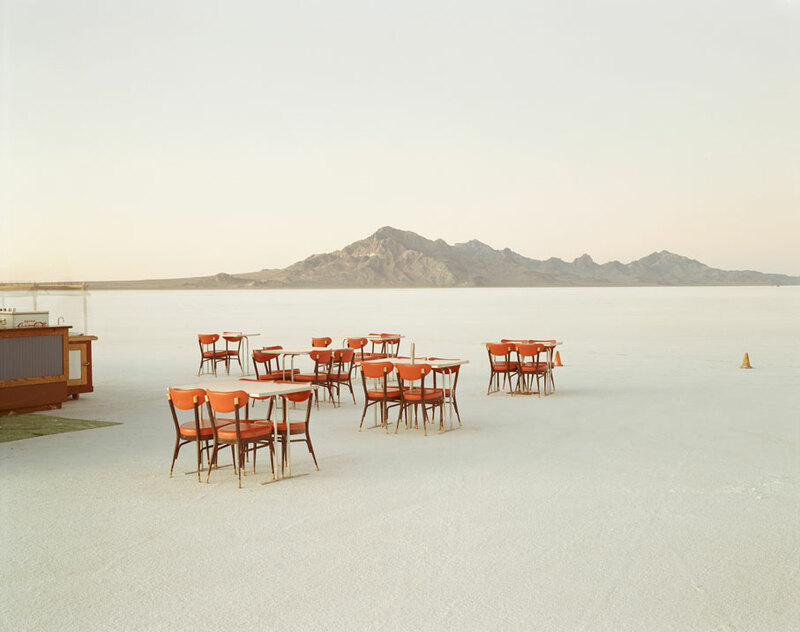 The Desert Canto series by Richard Misrach – I think he has influenced more photographers in advertising than anyone I can think of. Which piece of your own work are you most proud of? 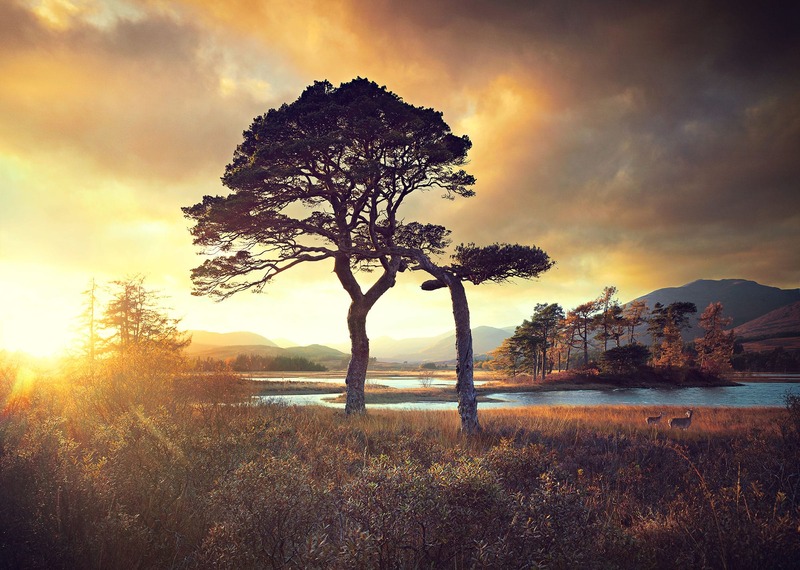 Hard to pick one, because they all have different experiences attached to them but it could be a personal shot I took in Loch Tulla in Scotland – a place I returned to many times before getting something I was really happy with. Every image whether film or digital, undergoes some form of enhancement. It is only devalued if the process takes way from the integrity of the image. I think there is an increasing temptation to use Photoshop gimmicks, particularly flares and grading plug-ins etc to make a boring picture more interesting, so yes it can but it shouldn’t. CGI features heavily in your work. What would you say to photographers who are skeptical from a photographic point of view? The challenge for us is to be able to integrate CGI into photographic realism. I remember there being a similar skepticism around Photoshop. 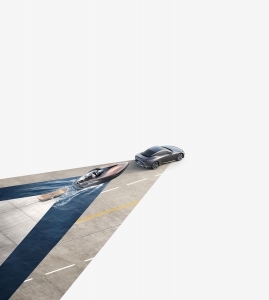 If it can’t be done for real, then why not use CGI? It is just another creative tool in the box, but clearly one that has to be executed correctly. Given your background in landscape photography, do you feel that this naturally draws you to ideas with an epic visual scale and technical scope? Good question, I have never really considered it before now. I like making epic pictures and it could well come from the openness of landscape, but I am also drawn to the details – nature can be amazing at any scale. You work with and collaborate with creatives on ideas that cross over between photography, CGI and creative direction. What do you think compels creatives to work with you in this way? Quite often I work with creatives who I have only just met, we spend a very short and intense time together, totally focused on a single image. I love the collaborative nature of advertising – It is the most enjoyable part of the job for me, especially when everyone is adding some value to the final image. Be original and photograph what you love. Not sure which one would be the biggest, but the 2 colossal shifts in photography have been the shift from film to digital and the advent of CGI – I grew up with the technical rigour of exposing large format transparencies and loved the precision of the craft, but the creative freedom of digital has been a interesting release – it has made everyone a photographer. The first of the gang to die – Morrissey. Alan Knott, Kent and England wicket keeper – wanted to be like him as a boy, still do actually.